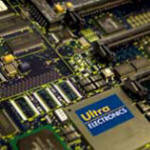 Ultra Electronics Manufacturing & Card Systems, (Ultra CEMS) is the EMS business within the high technology Ultra Electronics group of Aerospace electronics companies, Ultra CEMS has been providing full turnkey contract manufacturing services of a high calibre for over 40 years. 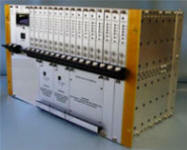 Early in 2009 Ultra CEMS opened a new Rapid Prototype assembly and Engineering Services operation in Cambridge, providing the full range of assembly techniques just faster! Ultra CEMS’s customer base includes companies from the Aerospace, Defence, Industrial, Instrumentation, Marine, Medical, Oil and Gas, Telecom and Transportation sectors. The products they manufacture are often required to operate in harsh and hostile environments where reliability is critical. A global materials procurement capability, including low cost sourcing. Product Design Services including mechanical, electronic, software and pcb layout, by way of the Ultra Synergy design grouping. Opening a brand new high technology engineering services & production hub in Sawston Cambridge, Ultra Electronics Manufacturing's goal is to provide high competence rapid prototype electronic assembly, small volume build-to-print electronic assembly and a comprehensive array of high calibre production engineering services. Mirroring the accreditations already held by its larger parent operation in Weymouth, the new Cambridge plant is set to quickly gain AS9100 Aerospace approval to add to the ubiquitous ISO 9001:2008. The engineering led Cambridge facility offers highly credible manufacturing expertise and complementary value added engineering services of the kind usually only found in much larger facilities. Providing SMT and through-hole PCB assembly as well as full system assembly the operation features two SMT lines, automatic optical inspection, flying probe and functional test capabilities. Matching the production and test equipment present in Ultra's Weymouth plant the Cambridge front-end operation provides a smooth migration path to the Weymouth plant for larger volumes and to Ultra's offshore suppliers for high volume production.